I tend to get a little bored with the idea of basic cable, I always catch myself browsing through channels or the TV watches me, if one of my shows aren't on. That was until I gave FrontierTV Games a try. Not only is this TV App free for Frontier Communications customers but it's so much fun and there really is something for everyone. From card games and board games to puzzles, words games and more. Plus, it's easy to use. All you have to do is, go to channel 93 and pick a game. Yes, it's really that simple. I usually go with one of my favorites Hangman or Solitaire. My daughters love playing their games too, their favorite is Match the Monsters. Frontier Communications definitely thinks of it all. First, a Netflix channel and now a Game channel! But they don't stop there, they offer so much more with their FrontierTV bundle. Everything is hassle free and easy to use. Have you made the switch to Frontier? I sure hope so because these apps are pretty awesome! Making the switch to Frontier is just as easy as using their Apps. Visit them online at http://frontierct.com/ or call 1-888-900-1103. It truly doesn't get much easier than that. 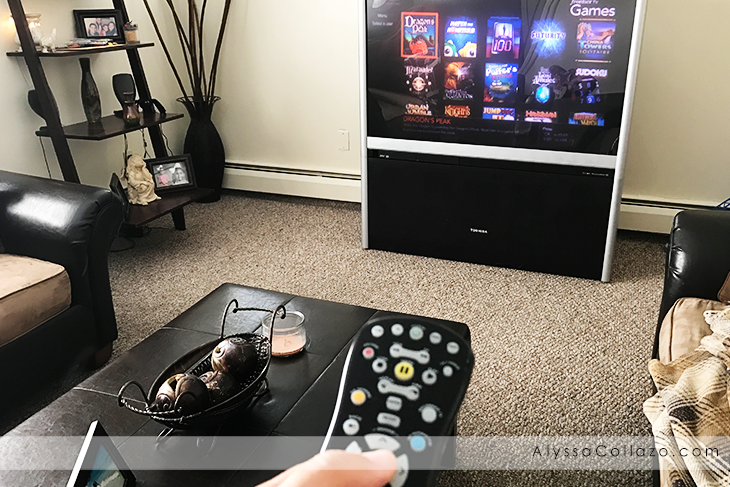 You'll have what feels the world at your finger tips and just like me, you'll learn something new about your TV everyday! I promise you won't regret making the switch to Frontier Communications. You'll get more for your buck, which in my book is a win! What do you look forward to trying if you make the switch to Frontier Communications? That sounds so fun! I love this little extra that they've thrown in. That would be fun. I could see my mother in law using a feature like this to play some games on her TV. Playing games from your TV? Yes!! Now I could definitely get down with this! That is a really cool feature!! My kids love to play games. It would be so cool if we could play on the computer. I like their cool features and I guess, my boys would love that. Wow this is a really neat feature especially for family fun nights! I don't think we have Frontier Communications here but I will have to look into it! This sounds fantastic. I will have to check if Frontier Communications is available in my area. I haven't make the switch to Frontier put I really like the feature. Thanks for sharing. That is an awesome way to play games at home. I had NO idea that was an option with Frontier! We have something similar with our streaming device. I love the apps for the games I can play on the television. I have a smart TV and love it, I will have to check out this app, who doesn't need some downtime every now and then? Also, I will score super cool auntie points when I have my nephews over for the weekend.